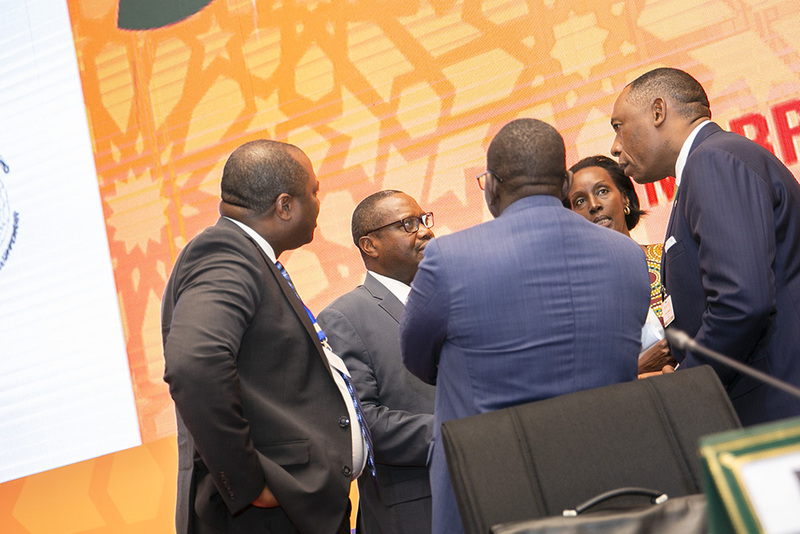 SDG 17 (partnerships for the Goals), which recommended, in particular, the removal of trade barriers within Africa and the ratification of the African Continental Free Trade Area. 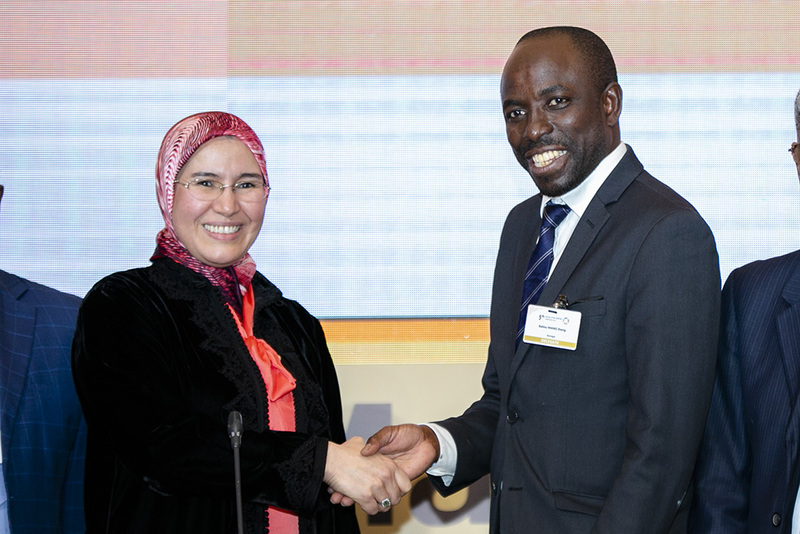 Delegates also heard recommendations of the First African Science and Technology Innovation (STI) Forum, which convened prior to ARFSD 5, including, inter alia: providing opportunities for young African innovators; financing research and development; developing STI infrastructure; good governance to ensure fair application of technologies; and scaling up institutional skills. 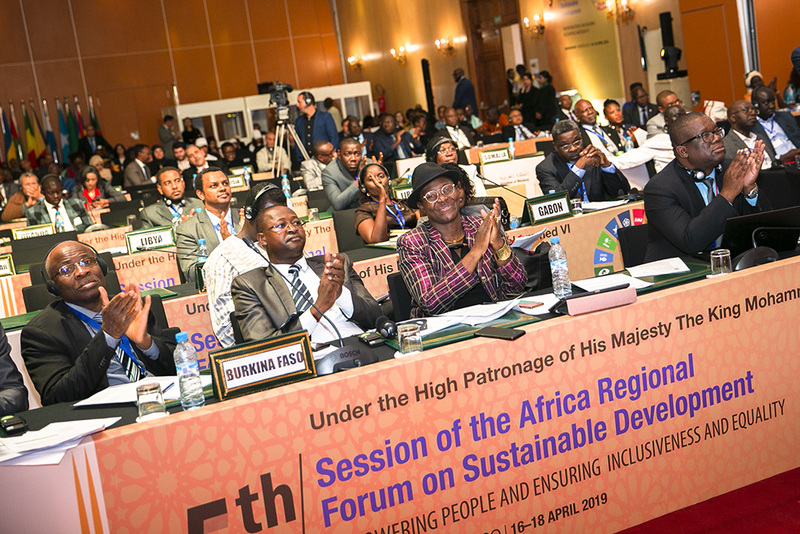 Zimbabwe offered, and delegates accepted, to host the sixth session of the Forum in 2020 in Victoria Falls. 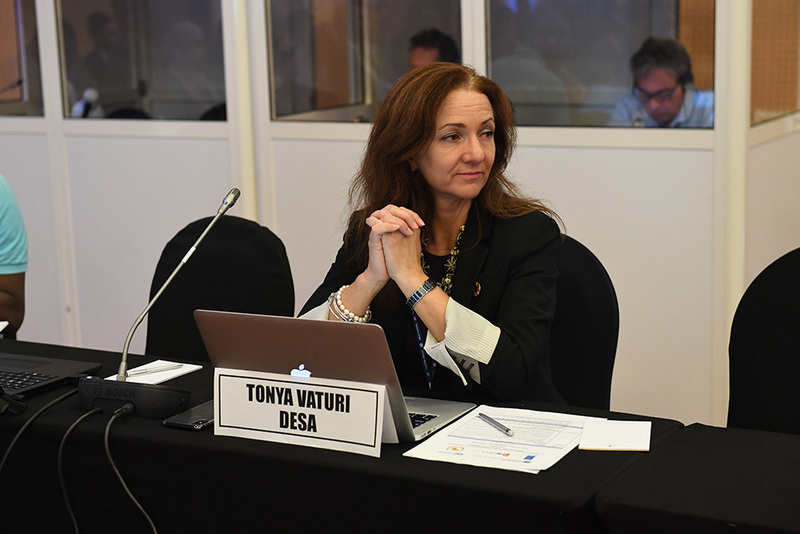 They adopted the Summary and Key Messages of ARFSD 5, with any further edits and messages to be forwarded to the Secretariat for inclusion in the document. 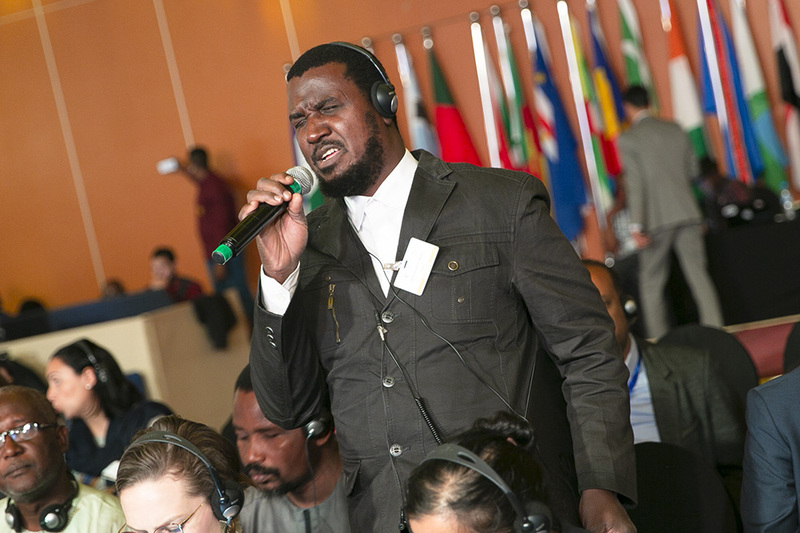 Delegates also adopted the Marrakech Declaration, which, among other things, reaffirmed the region’s commitment to SDG implementation and welcomed the establishment of the Congo Basin, Sahel and Island States Climate Commissions at the 2016 UN Climate Conference. 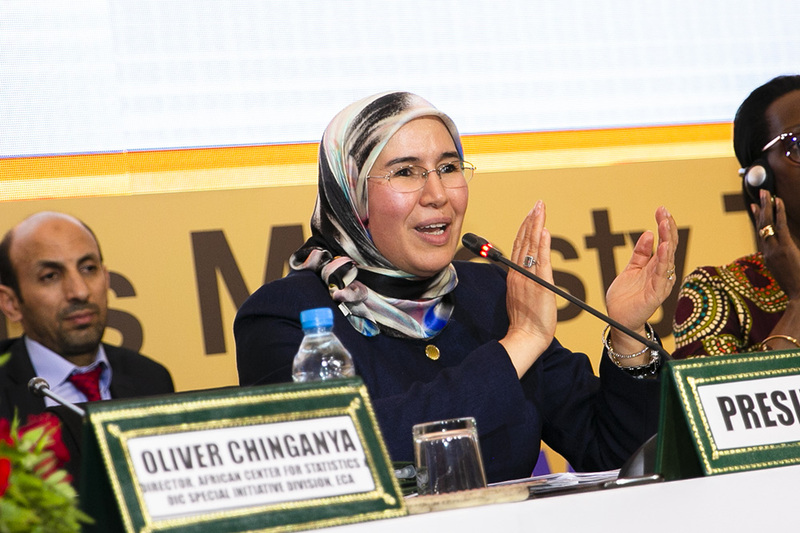 During closing remarks, Giovanie Biha, deputy Executive Secretary, ECA, drew attention to the unprecedented large number of attendees, over 800 hundred participants from 51 countries, and praised the gender equality of the current Bureau. 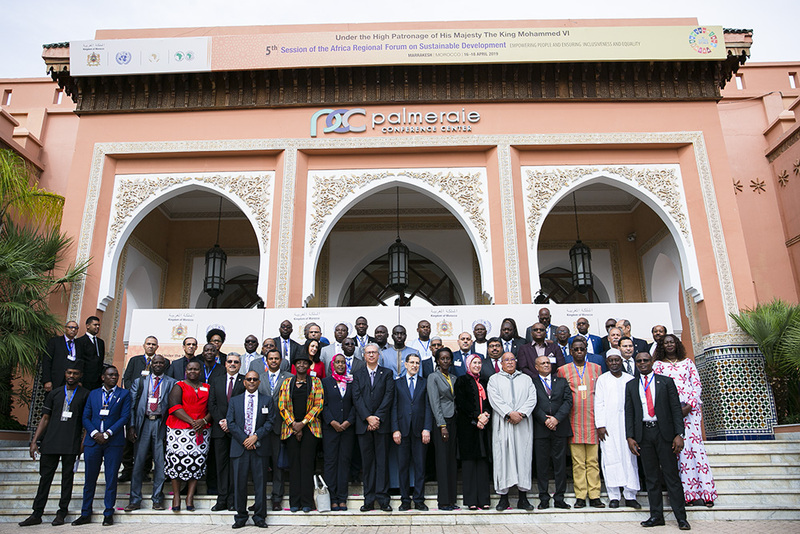 She concluded by reaffirming Morocco’s commitment, as the Bureau Chair, towards the progress of the SDGs and the Agenda 2063 in Africa. ARFSD 5 Chair El Ouafi brought the Forum to a close at 8:00pm. IISD Reporting Services, through its ENB+ Meeting Coverage, provided daily web coverage from ARFSD 5. In addition IISD Reporting Services has published a summary report from ARFSD 5, which is available in HTML and PDF. 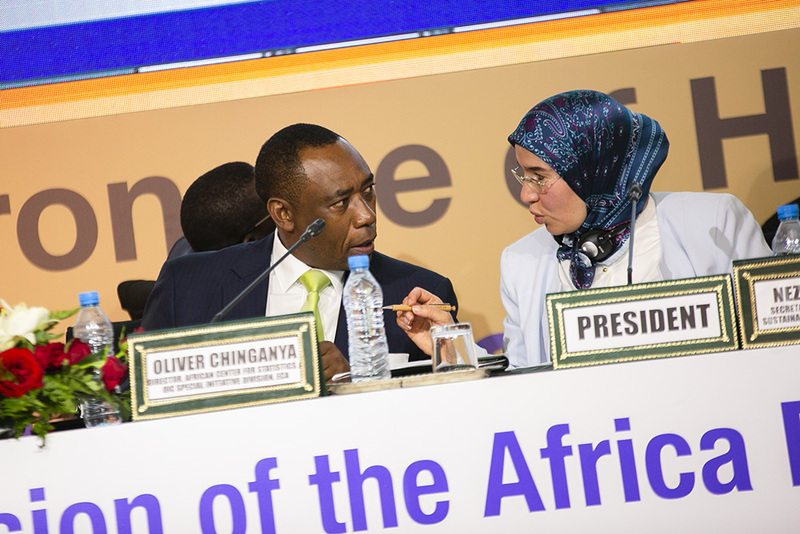 Nezha El Ouafi, ARFSD 5 Chair, conferring with Oliver Chinganya, ECA, during discussions on strengthening the key messages of ARFSD 5. 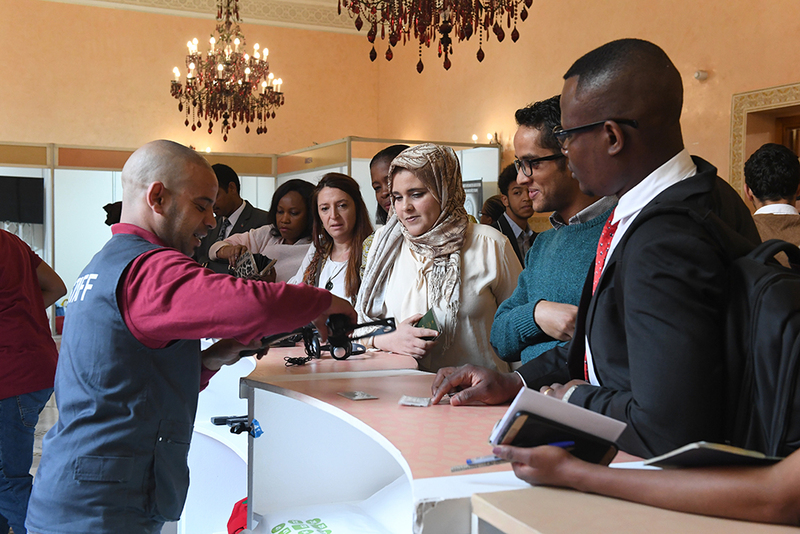 On Wednesday, 17 April 2019, the Head of the Government of Morocco, Saad Dine El Otmani officially opened ARFSD 5, in Marrakech, Morocco, and in a keynote address, he described ARFSD 5 as a watershed moment for Africa to unite in stepping up efforts to achieve the Sustainable Development Goals (SDGs). 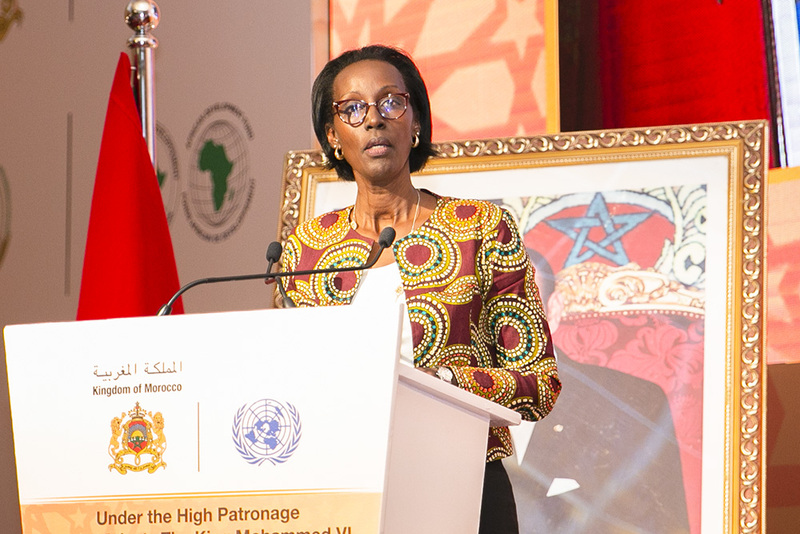 Giovanie Biha, Deputy Executive Secretary, ECA, lauded Africa for successfully increasing the number of Voluntary National Review (VNR) submissions to the High-Level Political Forum (HLPF). 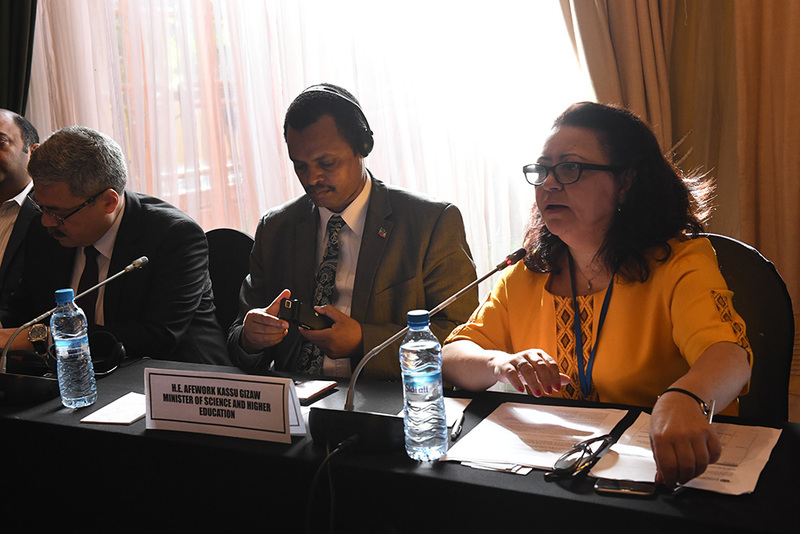 Mesfin Tessema, African Union Commission (AUC), highlighted synergies between ARFSD 5 and the 2019 Year of Refugees, Returnees and Internally Displaced People. 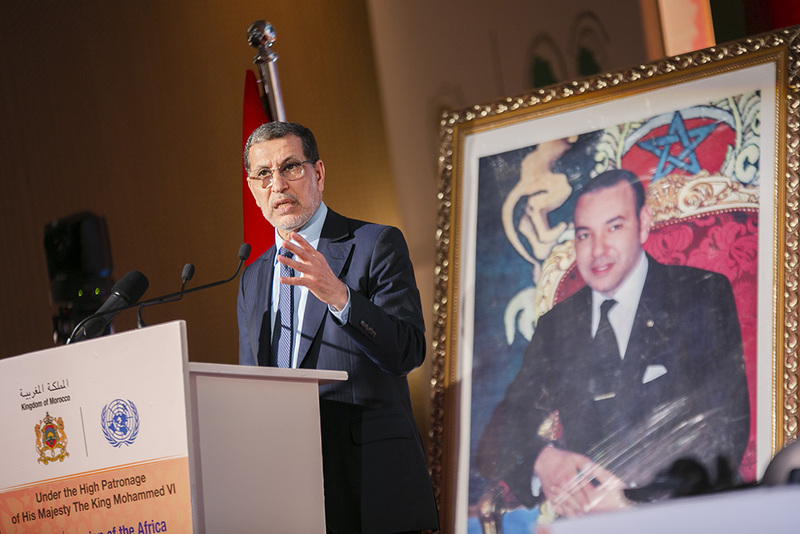 A high-level panel session then took place, under the theme ‘Empowering People and Ensuring Inclusiveness and Equality: Stepping up Action to Deliver the Commitments Contained in Agenda 2030.’ Delegates adopted the meeting agenda and approved the new Bureau, with delegates electing Nezha El Ouafi, Secretary of State in Charge of Sustainable Development, Morocco, as ARFSD 5 Chair. In the afternoon, a panel session on VNRs and peer learning on implementation, follow-up and review of Agendas 2030 and 2063 took place. 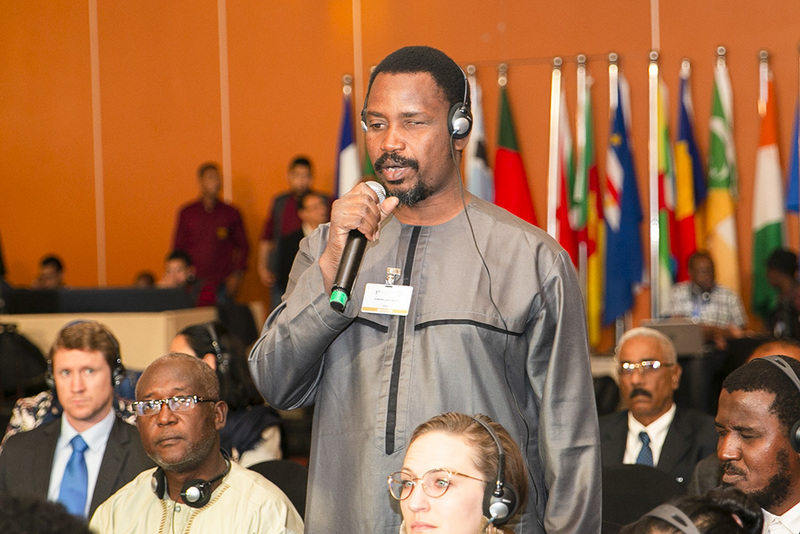 Delegates also participated in parallel panel meetings on the sub-themes of the Forum: SDG 4 (quality education); SDG 8 (decent work and economic growth); SDG 10 (reduced inequalities); SDG 13 (climate action); SDG 16 (peace, justice and strong institutions); and SDG 17 (partnerships for the Goals). 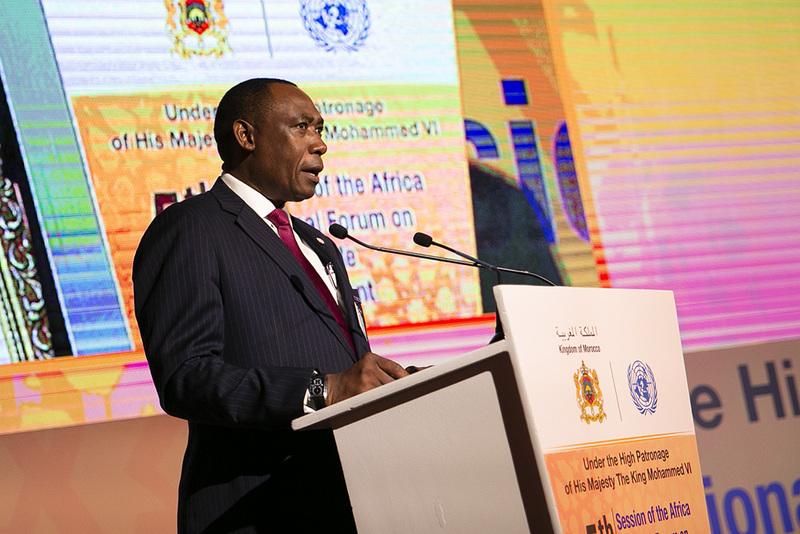 The key messages from these sessions on progress of implementation, emerging issues, challenges and opportunities, and means of implementation will be presented to plenary Thursday, 18 April 2019, and will contribute to Africa’s position at the High-level Political Forum. 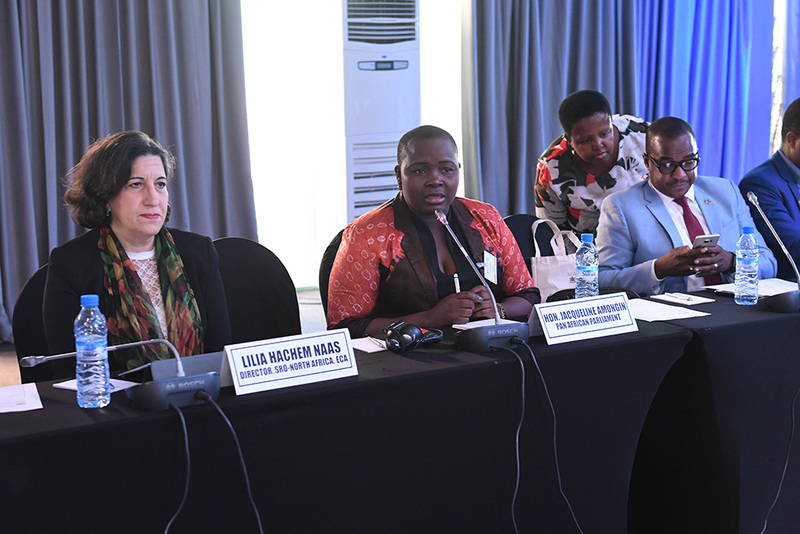 The Regional Preparatory Workshop for Africa Voluntary National Review (VNR) Countries: Strengthening Integrated and Voluntary National Review and Reporting of the 2030 Agenda and Agenda 2063 – this session created a space for peer-learning and experience sharing on VNR reporting and strengthening the capacity of those countries undertaking VNRs in support of SDGs and the Agenda 2063. 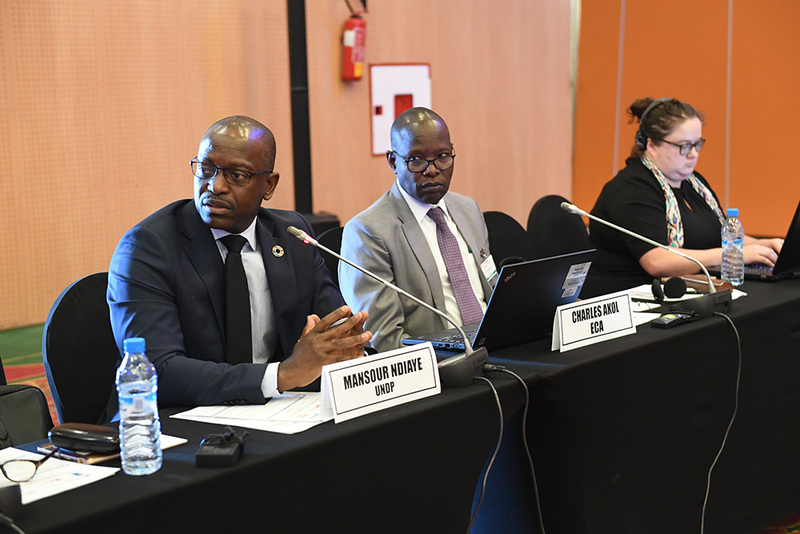 Participants addressed the role of supreme audit institutions in implementation, follow-up and review of the SDGs, and discussed the expectations and formats of VNR reports. 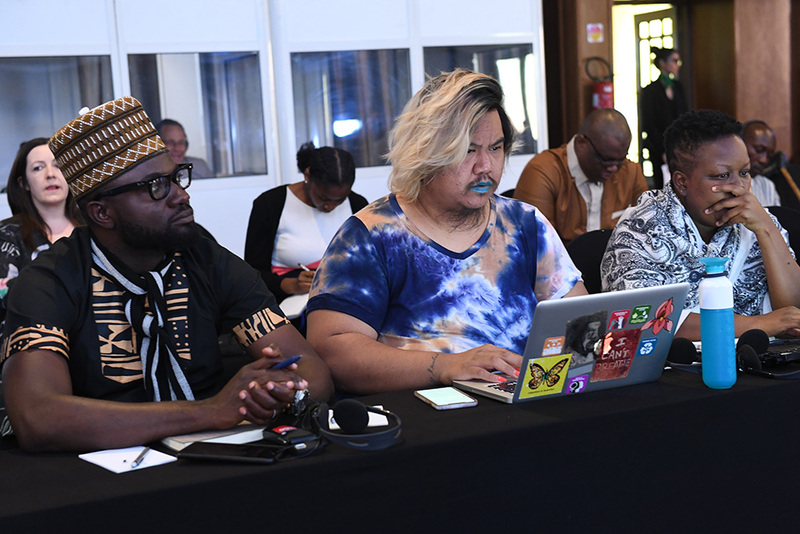 The Major Groups and other Stakeholders’ Capacity-building and Preparatory Meeting for ARFSD 5 – this meeting outlined strategies to enhance stakeholder participation in the follow-up and implementation of the SDGs. 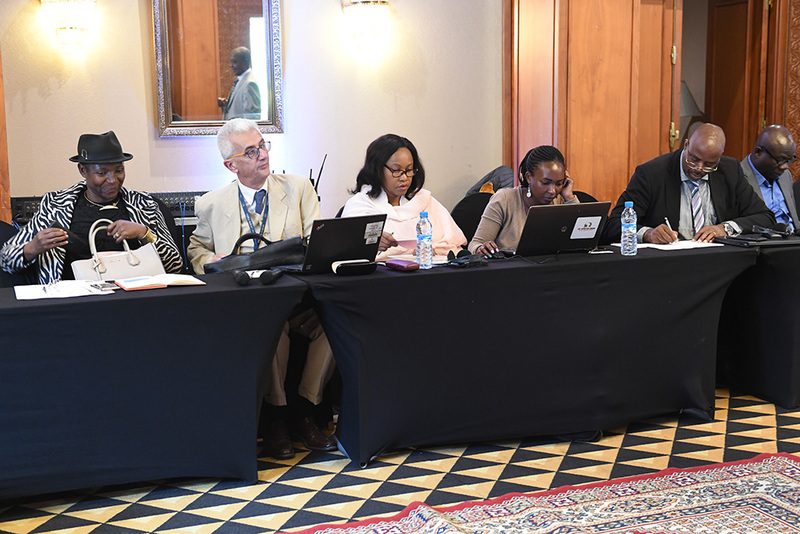 Discussions focused on: best approaches to facilitate joint implementation of the SDGs and Agenda 2063; the role of multiple stakeholders, including parliaments; inclusive policies, notably for children, women, disabled and aging populations; and measures to mobilize resources and overcome finance gaps. 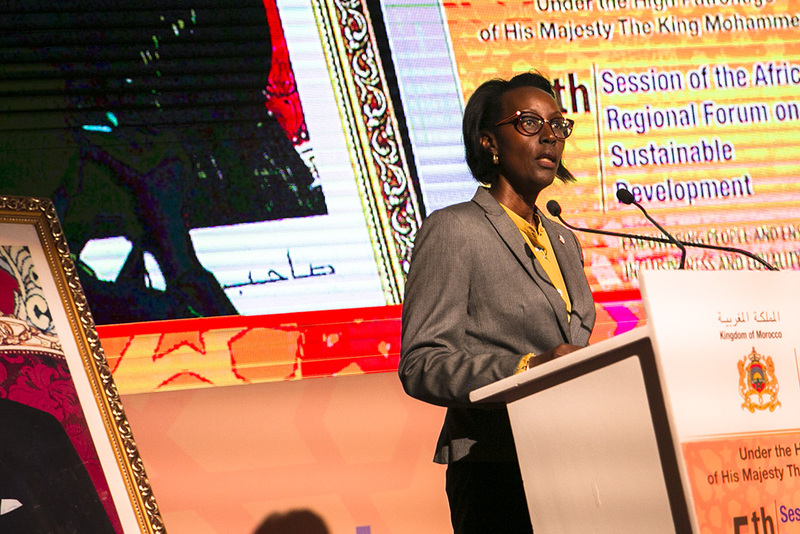 The Africa Regional Science, Technology and Innovation (STI) Forum – this session raised opportunities for scaling up actions considering the role of STI in accelerating efforts to achieve the SDGs under review by ARFSD 5. These SDGs are: SDG 4 (quality education); SDG 8 (decent work and economic growth); SDG 10 (reduced inequalities); SDG 13 (climate action); SDG 16 (peace, justice and strong institutions); and SDG 17 (partnerships for the Goals).